We believe all Australians have the right to literacy, because being able to read and write is the key to accessing education and employment, and to participating fully in society. ALNF was founded in 1999 by Mary-Ruth Mendel and Kim Kelly, who are passionate about helping people in Australia’s most marginalised communities gain literacy skills. Mary-Ruth Mendel is a leading Speech-Language Pathologist specialising in assisting people of all ages with literacy and learning difficulties through her private practice, The Speech Language & Literacy Centre. Kim Kelly is a mother of four with a background in business management. Television coverage of Mendel’s success with clients experiencing reading, writing and comprehension impairment led to an avalanche of phone calls, more than 3000, from distraught parents and community members wanting to help children, staff, family who were struggling to read at even the most basic level. In response, Mendel and Kelly began their journey to establish a charity that could properly and equitably assist people in need of literacy support, and the Australian Literacy & Numeracy Foundation (ALNF) was born. The ALNF raises funds to continue to develop, implement and sustain innovative literacy programs for individuals, families and communities. "With good literacy, numeracy and communication skills, children are better placed to negotiate the challenges of their education at school, and beyond. This, in turn, supports their ability and aspirations to become successful and fulfilled adult contributors in the wider society. Australia's role and destiny in contributing to the wellbeing of our neighbours in the Asia-Pacific area, and beyond, will be strengthened and enriched by all Australians achieving their potential in literacy and numeracy during their early years of education. The vision and commitment of Mary-Ruth Mendel, Kim Kelly and the dedicated team at the Australian Literacy and Numeracy Foundation is truly inspirational." Kevin Lindgren was a Judge of the Federal Court of Australia from July 1994 until he reached the mandatory retirement age for federal Judges in February 2010. At the time of his appointment to the Court he was practising as Queen’s Counsel at the Sydney Bar, mainly in the area of commercial law. He is a Conjoint Professor of Law at The University of Newcastle and an Adjunct Professor of Law at The University of Sydney and The University of Technology Sydney. "How to read and write! What goal could be more worthy than to teach these skills to marginalised Australians! Please support the Australian Literacy and Numeracy Foundation." Jono McCauley is an advertising and communications specialist with over 25 years experience. He has worked with a number of multinational advertising agencies as a copywriter, creative director and brand strategist. In 2008 he started his own agency, along with two partners, called Elevencom. At Elevencom, Jono has helped guide the marketing of some of Australia’s most successful retailers and fresh food marketers. In 2009 Jono and his agency created the Wall of Hands fundraising campaign as pro bono project for the ALNF. 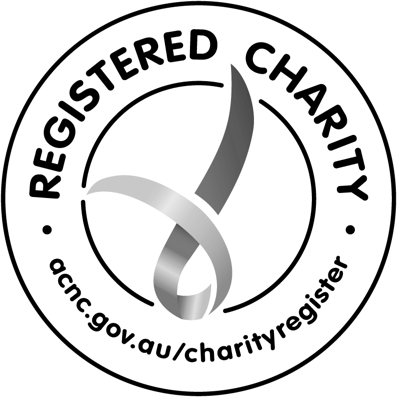 So far, this campaign has raised over $2 million and is recognised as one of the most successful online fundraisers in Australia. 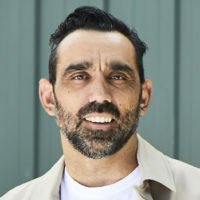 Jono holds a Communications degree from Charles Sturt University (Mitchell CAE) and is an alumnus of the Benevolent Society’s social leadership program, Sydney Leadership. “I have been lucky enough to build a career using words and writing as a foundation. But far too many children in Australia do not share my luck. If Australia is a country that believes everyone deserves a fair go, then every child must deserve the fundamental skills of literacy as a starting point." I am so honoured top be working with ALNF. I am a big supporter of all of the incredible the work they do, and the difference they are making in the lives of so many people. The opportunity to be an ambassador for ALNF is something I hold with great honour. I know through the my own challenges with literacy the importance of being able to read and write. Join me, and be part of the generation that ends Indigenous disparity. I believe it is a fundamental human right to have access to good quality, foundational education and am incredibly proud to be able to support the wonderful work that ALNF do, empowering the next generation to build the future they dream of. "The work and delivery of the programs and materials provided by the Wall of Hands Appeal and the ALNF, address the real needs of Indigenous Australians and communities that may be marginalised and excluded from mainstream educational support. The life skills that these programs create are carried by the individual forever, providing hope, opportunity and strength with benefits flowing through to local communities and the Australian way of life as a whole." "I struggled at school, which affected my childhood, and ultimately, my confidence. I feared my teacher asking me to read out loud in class, which is why I feel so strongly about the important work the ALNF do as the first independent charity dedicated to raising national language, literacy and numeracy standards."